Once upon a time an Asian emperor received as a gift a nightingale. The charming bird sang so beautifully that the emperor always wanted it by his side. He placed the nightingale within a majestic hand woven bamboo cage in the imperial chambers and listened, enchanted, to the magic sound. 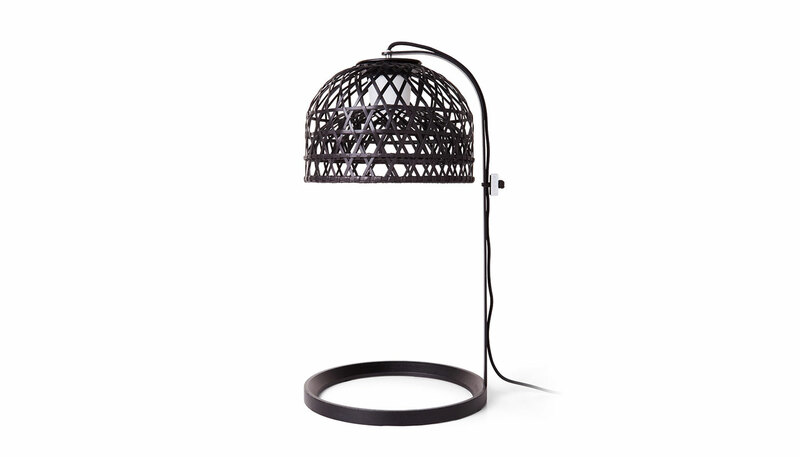 With this romanticized notion, the Emperor Table Lamp is constructed in a bamboo rattan cage, aluminum frame and a glass diffuser. Each cage is woven by hand and therefore has a unique character. Lamp includes a sensor dimmer on switch. Light bulb is not included. Lamp requires one G9 33W MAX bulb. Manufactured by Moooi.